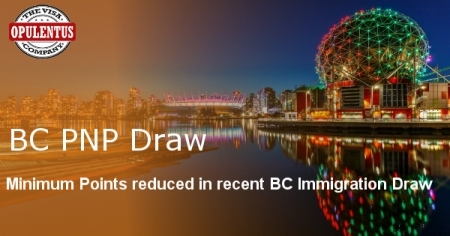 On April 4, 2018, the immigration officials British Columbia have conducted a fresh draw for their Provincial Program. In it, 326 candidates have received an invitation to submit an application. Also, this did not have a technology-only draw. The least score for qualifying in the category of Express Entry international graduates and skilled workers was 89 points. The score for skilled worker and international graduates was 84 points. Furthermore, Entry level, as well as semi-skilled workers, had to score 55 points only. In the earlier BC PNP draw, only 58 fresh candidates had received the invitation to apply by using numerous streams of the province. The draw, exclusively catering to technology was held on March 28, 2018. Furthermore, the least score for EE international graduates and skilled workers was 105 points. The score for the skilled worker and International graduate streams was 100 points. The entry-level and semi-skilled workers were not invited. The province also began its Tech Pilot in 2017. It has an aim to attract professional workers in 32 explicit occupations in the sphere of technology. Accordingly, it has conducted BC PNP draws seeking skilled technology workers from May 2017. Consequently, there is a change and the province is taking a position to take benefit from the skilled technology workers. This is good for the professionals who are searching for better alternatives and moving away from the USA. This provincial nomination is a successful guarantee to gain the selection in the Express Entry System. Through this they can gain 600 CRS points. The PNP also has the practice to publish the scores which the immigrants need. This will assure them to get an invitation to its programs and have a successful immigration. Under the Express Entry and provincial stream, the score which an international graduate has to score is 30 points in comparison with a skilled worker. Again, it is low for entry-level and semi-skilled workers.